Now, there is an anti-fan website for one of the participants in K-pop Star 3. The number of members of the website has already exceeded 4,000 people. They are against one of the participants in the contest, whose name is Kim Eun-joo. The establishment of such a website reflects the enormous influence of the contest. 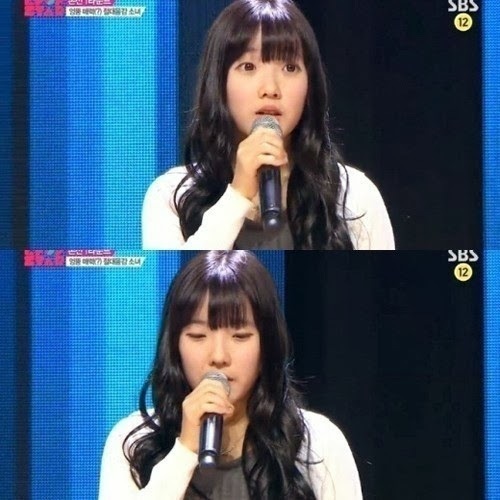 Kim Eun-joo is a teenage girl who appeared in the first episode of K-pop Star 3. She sang Beyonce's 'If I were a boy' with so much passion. Her appearance was broadcast throughout the whole nation. she did not like and took away money from others. posting it on the SNS." She exposed every detail of Kim Eun-joo's past. to demand Kim Eun-joo to drop out of the contest officially. The production team of K-pop Star 3 has not provided any official response yet. report given by one of the netizens has become so much bigger. the production team of K-pop Star 3 has not made any clear response yet. What if such a story about Kim Eun-joo is not true? I just can't imagine the consequence of such a case. Even if it is true, there is still a big problem to solve.